People with epilepsy have seizures. During a seizure, the nerve cells in the brain don't communicate like they should. The usual electrical activity in the brain changes. These seizures may last a few seconds or a few minutes. Some people with epilepsy will have or will one day develop refractory epilepsy. This means that medicines don't work well, or at all, to control the seizures. Primary (generalized) seizures. This means they involve both sides of your brain. Partial (focal) seizures. This means seizure activity starts in a smaller part of your brain. It may later spread out to a wider area. Refractory epilepsy can have a big effect on your life. People with this type of epilepsy may have trouble at work or school. They may worry a lot about when their next seizure will come. They may also have injuries that result from their seizures. If your healthcare provider thinks you have refractory epilepsy, he or she may suggest that you visit a medical center that specializes in epilepsy. Some seizures have known causes, such as head injuries, infections, fevers, or brain tumors. 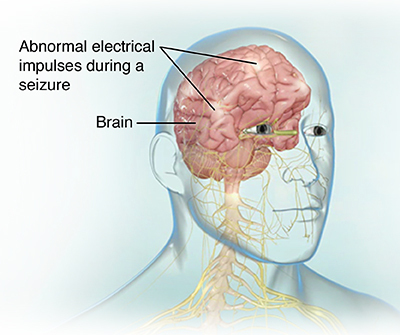 But often the cause of seizures in epilepsy is not known. In the same way, it is not clear why some people with epilepsy are not helped by antiepilepsy medicines. Or why these medicines sometimes stop working. The electrical activity in the brain during a seizure might get so high that medicines are no longer able to control it. But why this happens is not known. What are the symptoms of refractory epilepsy? If you still have seizures while you're taking medicine for them, you may have refractory epilepsy. How is refractory epilepsy diagnosed? Your healthcare provider will likely ask you many questions about your seizures. 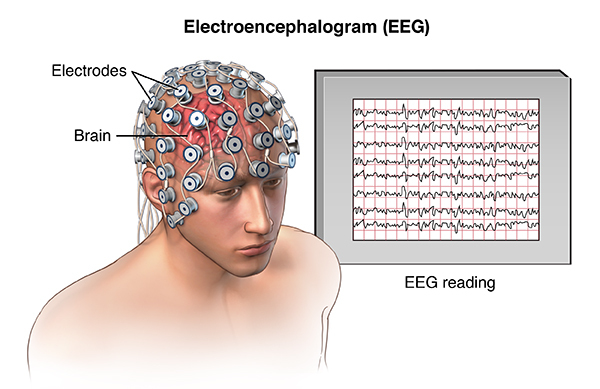 You will likely also have a test called an electroencephalogram (EEG). This involves placing electrodes on your scalp to measure your brain's activity. Sometimes, the EEG can be watched for long spans of time at home or in the hospital. Your healthcare provider may also want you to have a CT or MRI scan of your brain. If you eventually need surgery to treat the problem, your healthcare provider may do more tests like these to find out where your seizures are starting. You will need to work closely with your healthcare provider to find out whether your epilepsy is refractory. Your provider may need to watch you closely during more seizures to try several medicines before he or she feels your condition is refractory. Your healthcare provider may want you to check in often to report your symptoms as you try different medicine doses. How is refractory epilepsy treated? Surgery. Surgery may be very helpful if you have refractory partial epilepsy and the part of the brain where the seizures start can be found and safely removed. Your healthcare provider may advise surgery if you still have seizures after trying several antiepilepsy medicines. During the procedure, the healthcare provider will take out the part of your brain that's starting the seizures. Electrical stimulation. If you can't have or don't want brain surgery, your healthcare provider may suggest vagus nerve stimulation (VNS) with an implantable device. The device is placed under your skin in your chest. Wires connect it to the vagus nerve in your neck. It sends a current to the nerve. With this device, you may have fewer seizures. It may also help lessen the severity of a seizure that has already started. Can refractory epilepsy be prevented? It might not be possible to prevent all of your seizures. But it is very important to use medicines exactly as your healthcare provider directs. Using your medicines the right way may help them work better to control your condition. Living with refractory epilepsy can be hard. People with this health problem may worry a lot about when their next seizure will come. They may have trouble at work or school. They may no longer be allowed to drive. They may also have injuries that result from their seizures. It is important to do what you can to limit your chances of injury. A special diet called a ketogenic diet may help control your seizures. This type of diet is high in fats and low in carbohydrates. If you follow this diet, you will need to work closely with your healthcare provider and take supplements of certain nutrients as needed. You continue to have seizures. Your seizures become worse in intensity or frequency. You have new symptoms during or after your seizures. Refractory epilepsy occurs when your antiepilepsy medicines are no longer controlling your seizures. Often the cause of refractory epilepsy is not known. Your healthcare provider will likely give you other medicines to try to get your seizures under control. If this does not work, other options may be surgery to remove the part of the brain where the seizures start or electrical stimulation of a nerve leading to the brain.